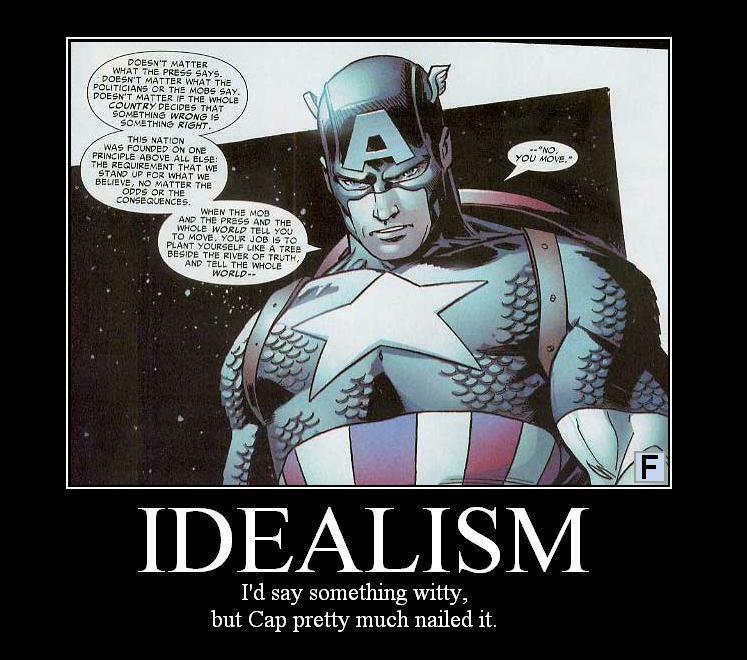 If you blow up the picture above, Captain America is waxing eloquently about how America should be. He ends with the phrase “no, you move.” Idealism works for Cap, he’s a comic book character, he does not live in the real world, we do. Idealism says “you move”. Cap would not make it as a pastor. According to the dictionary Idealism is the practice of forming or pursuing ideals, esp. unrealistically. I cannot begin to tell you how much idealism almost wrecked me in my young days. The battle between idealism and reality is strong and ongoing. Every conference we attend, article we read, and video we watch, draws what is perfect in our heads. When we bring those ideas to the youth ministry table, and start to push others around us to conform to it, that is where the trouble begins. Idealism forces it will upon others. Idealism crushes our hearts and creates bitterness when it becomes unrealized. The Bible is ideal. How Jesus disciples is ideal. Becoming consumed with the ideal attendance, the ideal strategy for small groups, or our ideal preaching style can all blind us to the reality of what Jesus is doing in our midst. We can become so consumed with the ideal anything, we miss the point of the idea itself. Idealism is the enemy of the idea. Have you been ever been more consumed with your idealism (the forceful perfecting of an unrealistic vision) than in love with the idea, letting unfold naturally? Share your wisdom on how you killed the beast. Post summed up: Idea good. 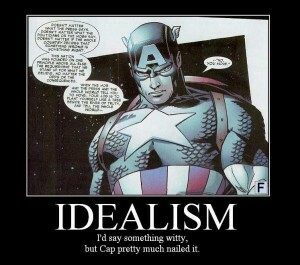 Idealism bad.